i am the queen of making plans, but not so much the queen of planning. as in, i agree to do things, or book in holidays or trips away, or plan to have lunch or whatever with people, but i am very, very, very bad at planning the particular details of said event. 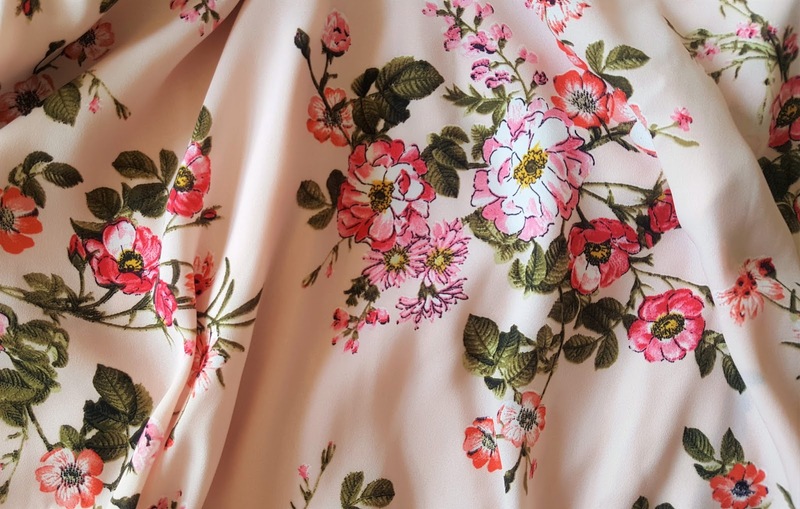 so, for me to have already decided on a dress for a wedding i am going to in september is unusual. 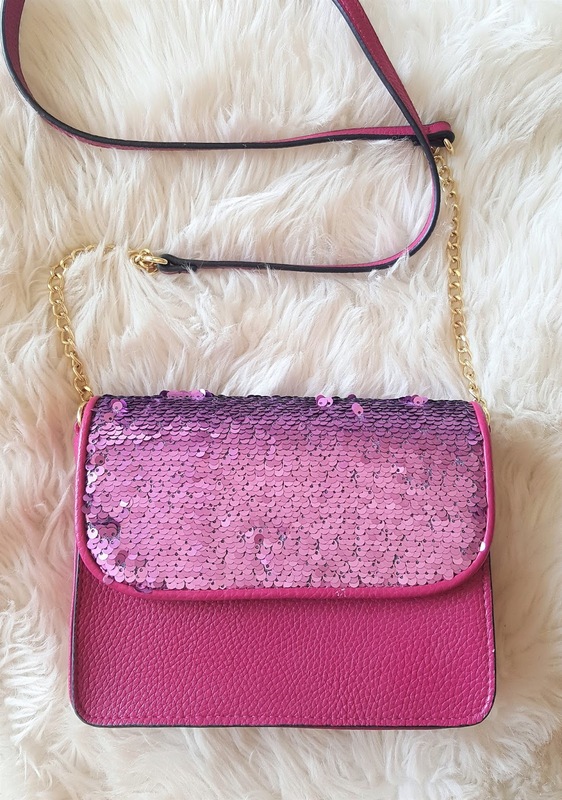 what's more unusual is that not only have i got a dress sorted, i also have shoes, a suitable handbag, and the perfect hair and make-up sorted too. 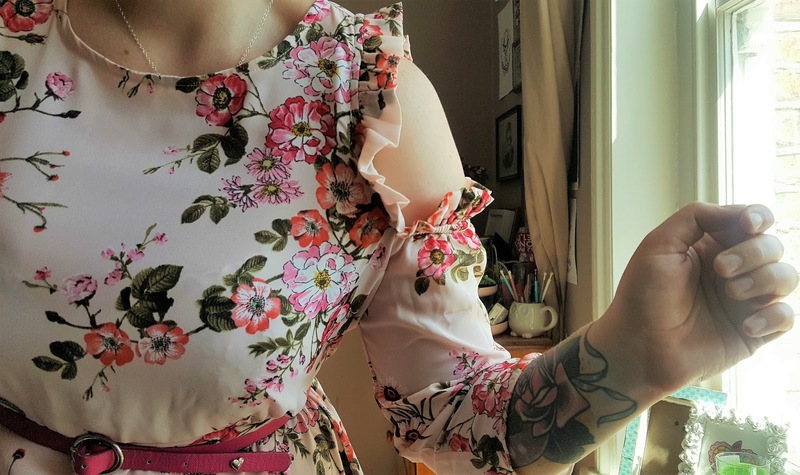 i can't be the only person who gets annoyed when i find a dress i really love online, and then realise it's from the plus, petite or tall range, and not in the "whatever the other section is called" one. i am not small, tall or plus sized, but the "other" range doesn't always have the same cut or pattern or style. which is why i'm a big fan of simply be. simply be is a store that i rarely visit, because until recently, they didn't stock my size. 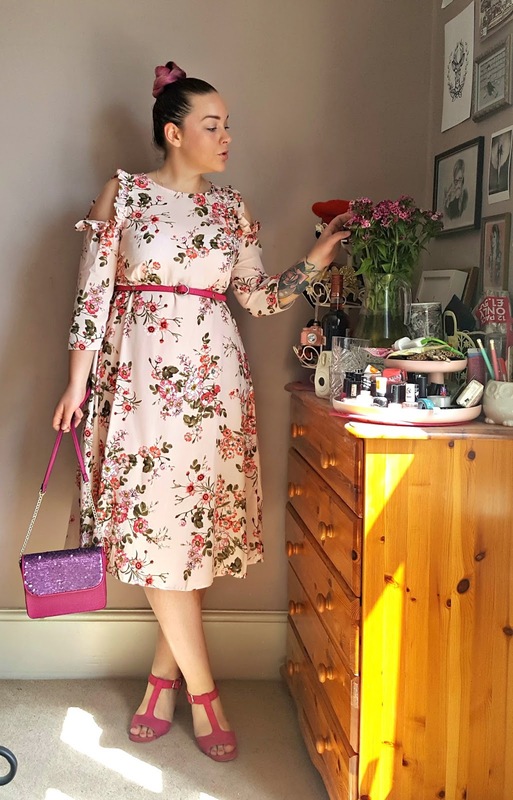 but in the last year or so they've increased the size range they sell, and in a delightful twist of fate, i've managed to put on just enough weight now to fit comfortably in the once plus size-only brand's smallest size run. 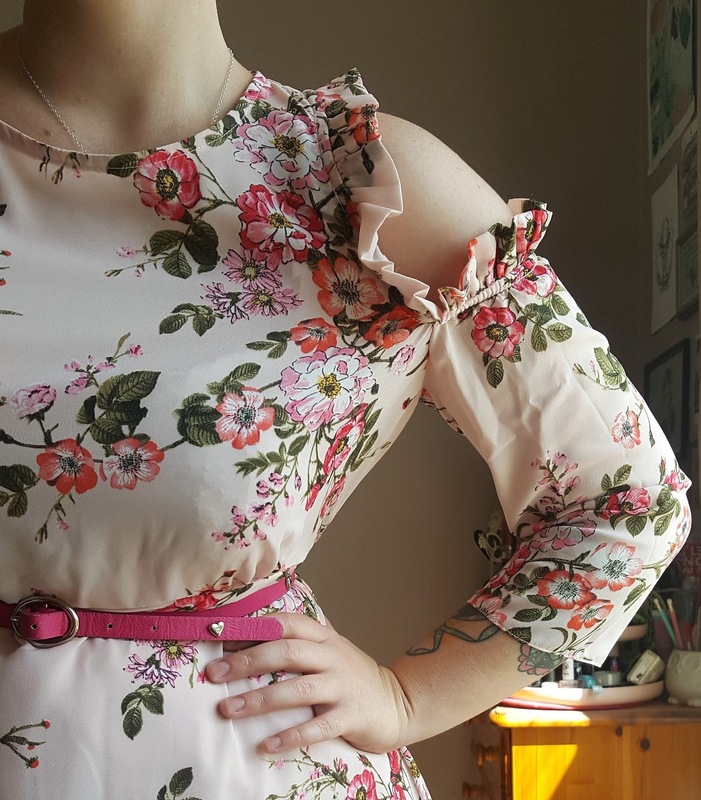 the 12 in this floral cold shoulder dress is a little on the loose side (i really could have done with a 10 but it was sold out, obviously), but that's ok, because all that means is now i have a bit of room left over for all of the food and drink that i plan consuming at said wedding. and that, dear readers, is a lot. the minute my eyes landed on this midi dress, it was love. 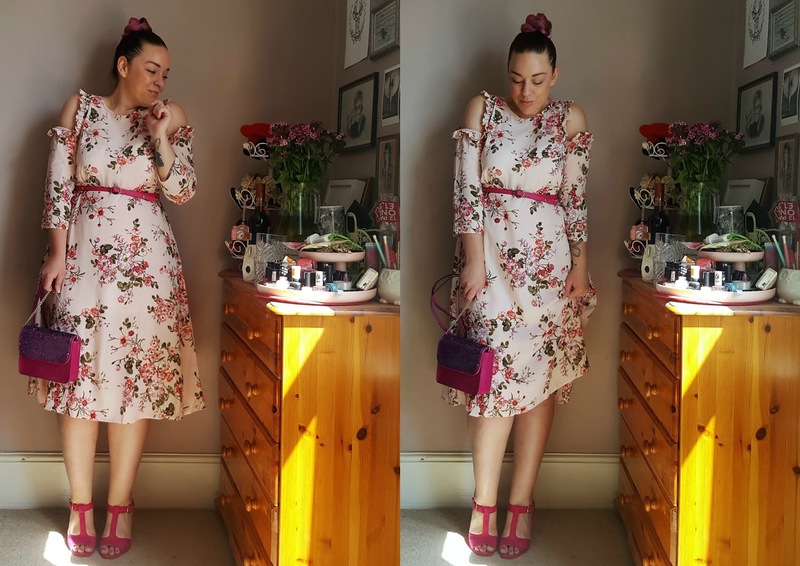 i was desperately trying to avoid a black dress or a maxi dress for the september wedding, as well as anything that would require tights. it might just be me, but i think tights at a wedding is a little too "casual", and both black and full-length dresses can be a little on the "inappropriate" side. 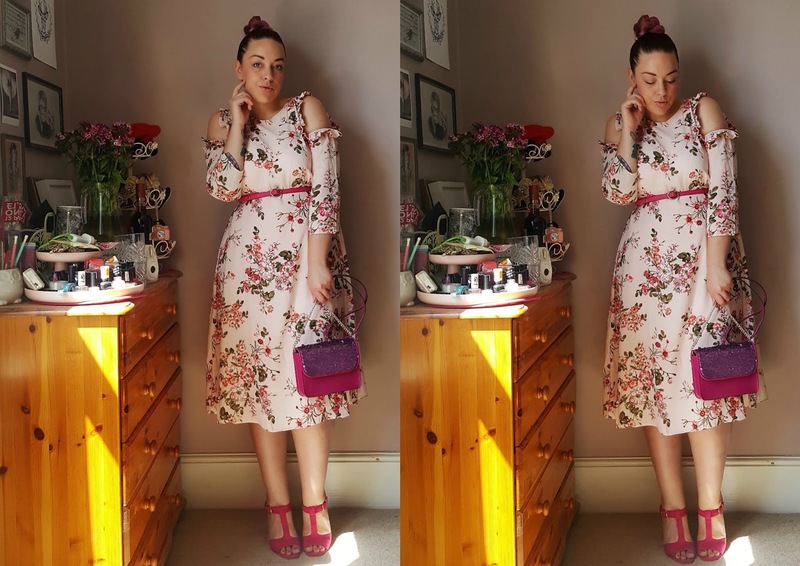 so, to find a pastel pink, floral, mid-length, cold shoulder dress with ruffles, i knew i'd found the one. to make matters even better, i found the shoes of my dreams too. 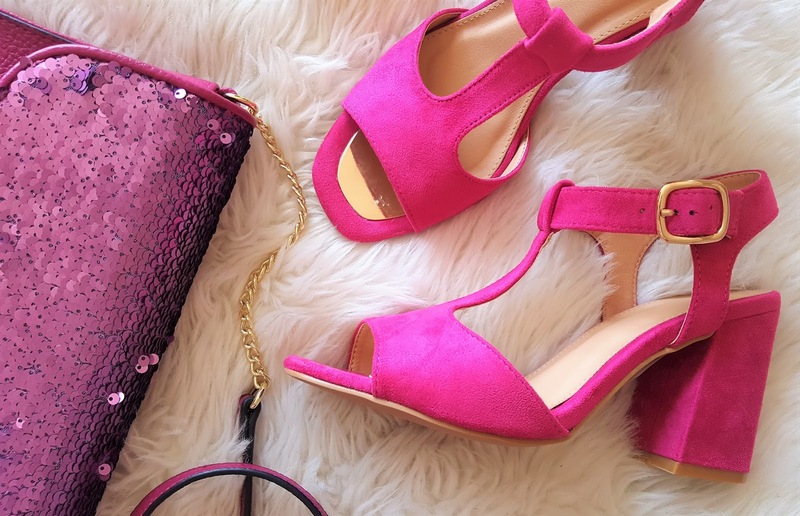 with a wide fit, block heel, and in a hot pink suede, these heeled sandals are a comfortable solution to the problem of: i can't wear flats with a midi-dress. and they match the bag i reeeeeally wanted to wear, so all-in-all, i'm pretty damn pleased with how the whole thing came together. and with another two months to go. my only question now is: can i, or should i not wear this outfit in the meantime...?